After you install Aimersoft DVD Ripper, just follow the tutorial below to rip DVD and edit the ripped videos on PC. If you are a Mac user, please go to Win version tutorial. Aimersoft Music Recorder for Mac supports recording music from YouTube, Spotify, Pandora, Myspace and many other sites, here just take Spotify as an example to show you how to record online music on Mac. Open Spotify and search for the songs, playlist or stations that you are interested in. Play the music after clicking the Record button on top of the main window of Music Recorder for Mac. In this case, the music will be recorded automatically at the beginning of the sound. The default format for the recorded music is M4A, if you want to change it, click Preference and open Format tab to choose the output format as you like. The supported formats include MP3 (Low, Medium and High Quality) and M4A (High Quality). 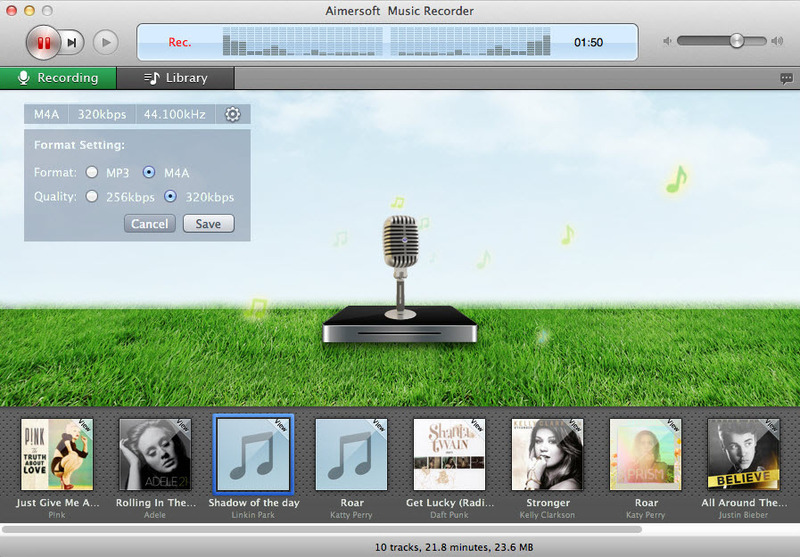 Open Aimersoft Music Recorder for Mac on Mac and click the program name “Music Recorder” on the left top of the Mac’s desktop. Click to open the Preference window and switch to the Control tab. 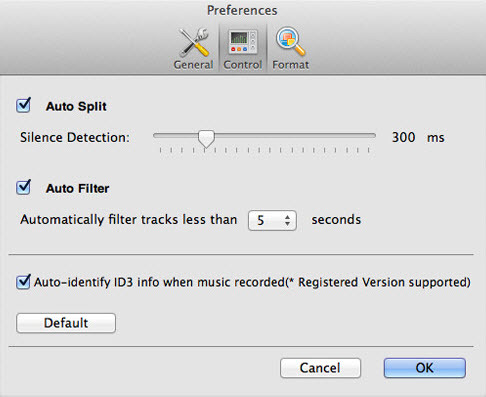 Tick Auto Split and Auto Filter and set the maximum silence duration time and minimum tracks length as per your needs. By this setting, you can record songs one by one without any other extra noise. When you finish recording the music you want, you are also able to burn the music you get in hand to CD disc for audio playback anywhere you like. All you need to do is to open the Music Toolkit in the Library window and choose the CD burner. After you launching the music CD burner, please insert a blank CD disc and add the audio you want to the burner, when all all theses are done, simply click the Burn button on the right bottom of the window to begin burning music CD. 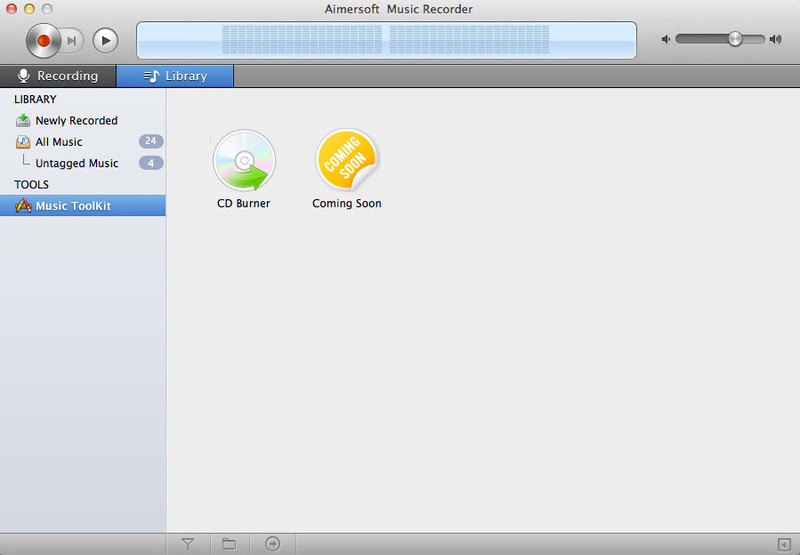 When a song is recorded, Aimersoft Music Recorder for Mac can find out the related information. To do this, open Preference settings and switch to Control Tab, tick the "Auto-identify ID3 info when music recorded" option. With this, you can get the music title, artist, album name and cover, music genre and release date and more. You can check the music information from the Library window. To edit information for the recorded audio tracks, switch to the Library window of the program. At there, you can find all the music recorded by this program. Click the arrow button near a certain song, and choose Edit Music Tags, you can edit the music information on the right side of the window as you like. To add music recorded to iTunes, just choose the songs and click the Add to iTunes icon on bottom of the Library window. 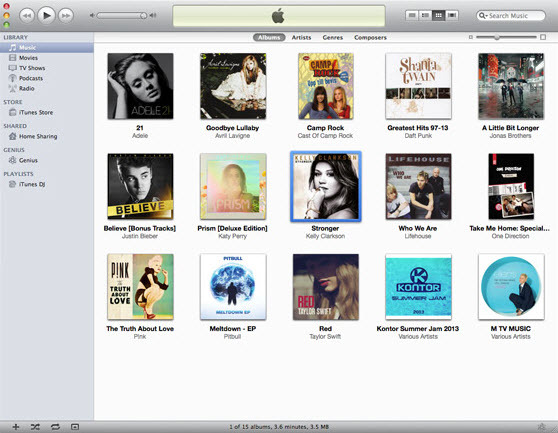 Aimersoft Music Recorder for Mac supports syncing songs to iTunes Music Library with album cover. How to Download Ringtones for iPhone X, iPhone 8 (Plus), iPhone 7, iPhone 6s, etc.